For Poetry Thursday, I am recommending "On the Pulse of Morning" by Maya Angelou. This is a transcript. The page also has a link to the recording of Maya Angelou reciting the poem during Bill Clinton's first inauguration. The recording won a Grammy, so listen to it! 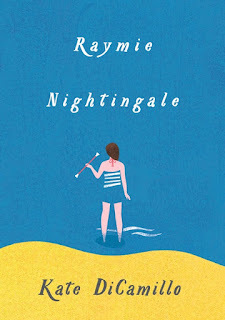 For MMGM, I'm recommending Raymie Nightingale by Kate DiCamillo. 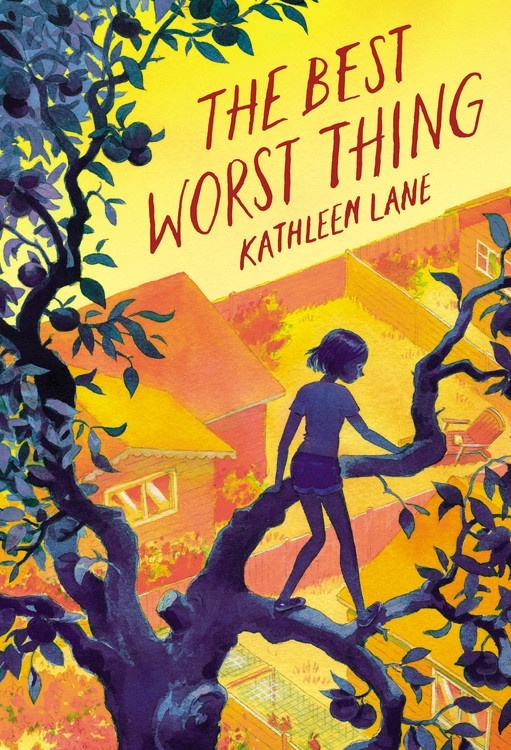 Kate DiCamillo writes great books, and awards have backed this up (her debut was a Newbery Honor book and she later wrote two books that won the Newbery). 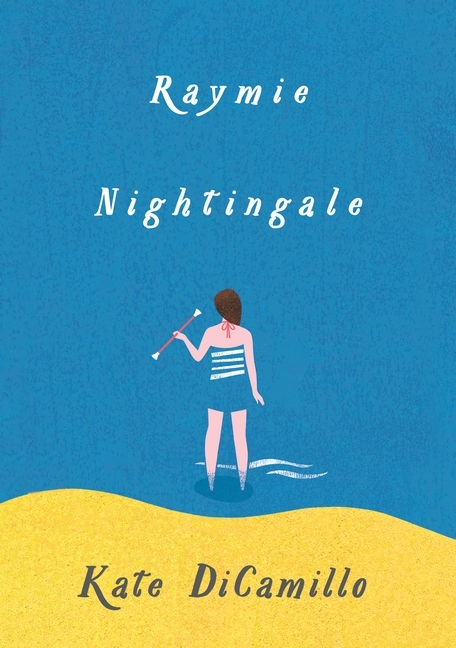 Raymie Nightingale is no exception. The book features many descriptions and anecdotes that work very well in the story. For example, at one point in the book, Raymie remembers taking lessons on how to save people, such as those who are drowning. This is very well-described, and ends up serving a purpose at the end of the book. The characters are very well-written. Beverly is somewhat cynical, and can be kind or somewhat mean. Louisiana is friendly but very strange, such as when she reads a book but makes up what is happening. Raymie is very upset about her father leaving, but, although her sadness mixes in with regular life, she keeps going. This book is a great read with a perfect balance between sad and happy moments. For Poetry Thursday, I am recommending "Wild Geese" by Mary Oliver. You can read it here. In addition, a recording of Mary Oliver reading the poem is available here by scrolling down. Edit (10/30/2016): A formatting error has been fixed. 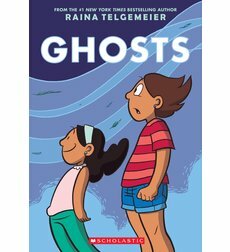 For MMGM, I'm recommending Ghosts by Raina Telgemeier. Catrina and her family are moving to the coast of Northern California because her little sister, Maya, is sick. Cat isn't happy about leaving her friends for Bahía de la Luna, but Maya has cystic fibrosis and will benefit from the cool, salty air that blows in from the sea. As the girls explore their new home, a neighbor lets them in on a secret: There are ghosts in Bahía de la Luna. Maya is determined to meet one, but Cat wants nothing to do with them. As the time of year when ghosts reunite with their loved ones approaches, Cat must figure out how to put aside her fears for her sister's sake — and her own. Firstly: ART! ART! ART! ART! ART! In other words, Ghosts is a graphic novel, just like Telgemeier's other books (such as Smile, a super-popular graphic novel which you should also read). The art is beautiful, and captures the town in the book, Bahía de la Luna, incredibly well as a foggy ocean town (for a completely fabulous image, see pages 22-23). The story is as great as the art. Telgemeier has always been both a great artist and writer, and Ghosts is no different. Cat's sister, Maya, suffers from cystic fibrosis, and Telgemeier handles it very well, especially with worries about the possibility of Maya dying. The characters are very well-written, and both Cat's nervousness about Maya and Maya's ability to stay happy are very realistic. In addition, as you might have guessed from the title, there are ghosts in the book, and they tie into the theme of Día de los Muertos, or Day of the Dead, a Mexican holiday which is less about mourning and more about celebrating those who have died. The description of this holiday is great, and the visuals for the related festival are great, featuring great color by Braden Lamb, the book's colorist. This book does everything fabulously and is a great read. For Poetry Thursday, I am recommending "Some Questions You Might Ask" by Mary Oliver. Here is the link. I hope you enjoy it! 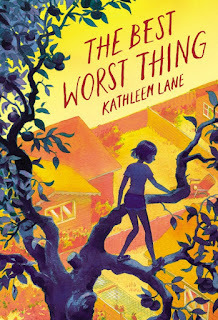 For today's MMGM, I'm recommending The Best Worst Thing by Kathleen Lane. 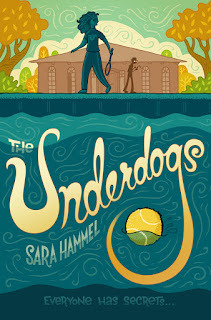 This book would be a great pick as the next Newbery. It's that good! The main character, Maggie, seems to have obsessive-compulsive disorder, and the depiction is very true to life. The book tackles many interesting topics, such as marriage conflict, entering middle school, and poor parenting and how that affects kids. All of this is handled deftly. This book would be great to read in class, since it offers many things for kids to relate to. However, whether you're in class or not, this book is still a fabulous read that all ages will love! Edit (September 25, 2016): I have fixed the formatting issues, and added the cover of Tricky Vic. Sorry that my book review is late. I haven't had a lot of time this week. However, I have the review, but first, Poetry Thursday. This poem has helped me go to sleep before, and it is "The House Was Quiet and The World Was Calm" by Wallace Stevens. This is the link. In the early 1900s, Robert Miller, a.k.a. “Count Victor Lustig,” moved to Paris hoping to be an artist. A con artist, that is. He used his ingenious scams on unsuspecting marks all over the world, from the Czech Republic, to Atlantic ocean liners, and across America. Tricky Vic pulled off his most daring con in 1925, when he managed to “sell” the Eiffel Tower to one of the city’s most successful scrap metal dealers! Six weeks later, he tried to sell the Eiffel Tower all over again. Vic was never caught. For that particular scam, anyway. . . . Kids will love to read about Vic’s thrilling life, and teachers will love the informational sidebars and back matter. Award-winner Greg Pizzoli’s humorous and vibrant graphic style of illustration mark a bold approach to picture book biography. This is technically a picture book, so I didn't post it for MMGM. However, it is entertaining and interesting for all ages, and has a beautiful art style. This is a book that everyone should read. P.S. Come back tomorrow for another review, and on Thursday for Poetry Thursday! I took a break from blogging last week, but I'm back! 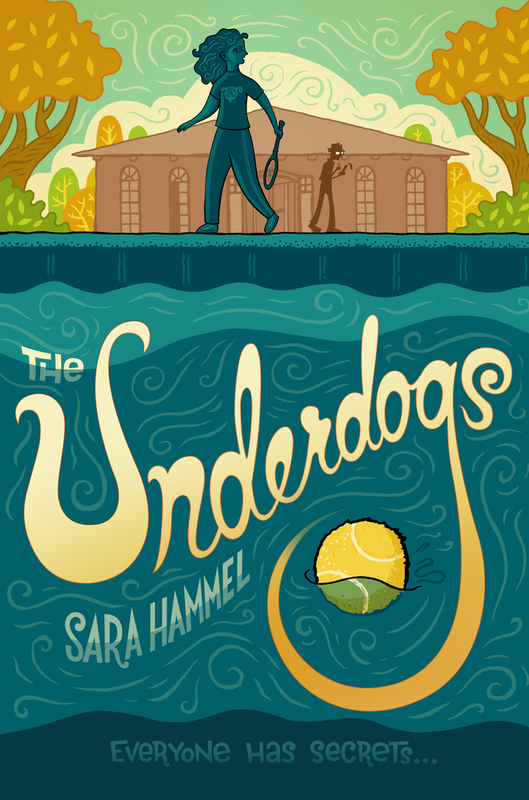 For MMGM, I'm reviewing The Underdogs by Sara Hammel. When a popular teen beauty’s body is discovered by the pool at an elite tennis club, the regulars are shocked—especially twelve-year-old Evie and her best friend, Chelsea. While everyone else is haunted by the teen’s death, Evie and Chelsea jump on the case, dogging the footsteps of the lead detective as he investigates. As temperatures soar over the summer, tensions rise, fingers are pointed, and a heroic act sets in motion a chain of events readers will never see coming. In the tradition of The Westing Game comes this debut mystery with a breathtaking twist. This book is great! The book is told from the perspective of Chelsea, and the chapters flip between events that occurred before Annabel's death and after. The chapters from before the death usually involves Chelsea's friend Evie, who is overweight and is bullied for it. As the story progresses, Evie gains confidence and happiness. The chapters set after the death focus on the detective, Detective Ashlock, and his questioning of other characters, through the ears of Evie and Chelsea, who are eavesdropping. Also, the ending has a spectacular twist, which is the perfect kind where there are hints along the way but you still don't guess it, leaving you bewildered and then excited as you connect all the clues together. This book is a entertaining mystery that is great for anyone.